Still trying to decide whether you should use fish oil or krill oil to support your health and feel great? 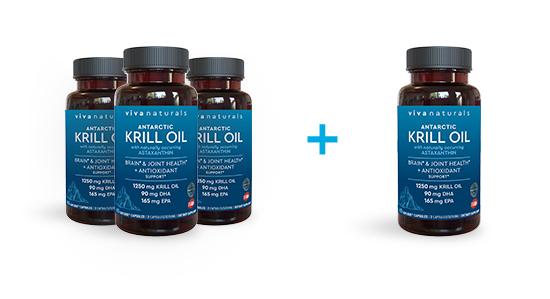 * Read on to see why krill oil is the clear choice over fish oil where it matters most,* and why you should consider Viva Naturals Krill Oil. This is just one of many reasons krill oil is a better choice than fish oil when it comes to supporting your overall health*. 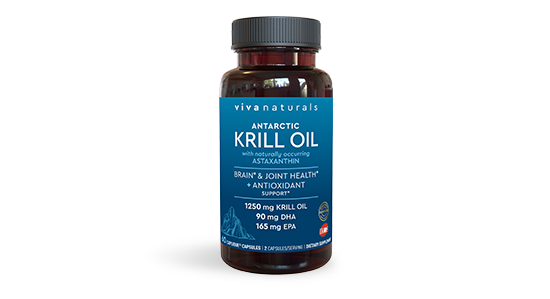 Viva Naturals Krill Oil is harvested in the deep, pristine waters of the Antarctic Ocean. Because it is one of the cleanest bodies of water on earth, the wild krill we use to produce our krill oil contains lower levels of mercury and other toxins. Viva Naturals Krill Oil is encapsulated in innovative Caplique® capsules, limiting the fishy burps and aftertaste often experienced with lower-quality fish oil supplements. We care as much for the planet as we do for your health, so you can feel good knowing that our krill is sustainably sourced, adhering to the guidelines established by The Commission for the Conservation of Antarctic Marine Living Resources. 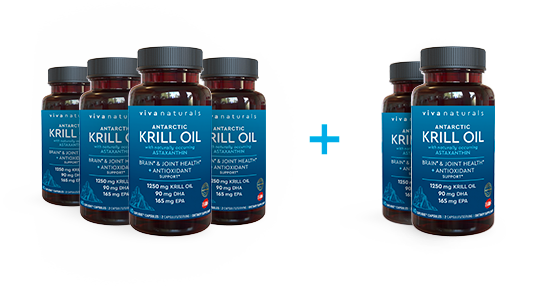 Viva Naturals Krill Oil is certified sustainable by Friend Of The Sea which is a non-profit, non-governmental organisation whose mission is the conservation of marine habitat.